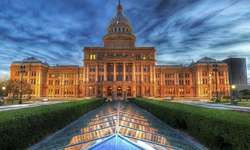 An area committed to the arts, Austin is one of the most happening places in the world right now. The city is known for its lively and renowned music scene (one can hardly walk down the street without hearing live music from a dozen different local bars and restaurants), but the city has so much more to offer! Residents of Austin display the city's independent spirit - which is also displayed within the ride sharing scene in town. The city is buzzing with entrepreneurs as well as flourishing technology, engineering, and healthcare industries. Add in 50,000+ students from the University of Texas at Austin and other surrounding colleges, a beautiful lake running through the city, and beautiful sunshine year round - and you find yourself in a one of a kind location with no shortness of excitement. "Discover all that is possible." Dubai is a city of the future. The rapid growth and development in Dubai over the last 20 years puts this city at the top of the list for fastest growing cities in the world. Due to Dubai's recent growth, the city is largely modern and the architecture used to create the many Dubai skyscrapers is both perplexing and awe-inspiring. While there is lots to do in Dubai, one thing we suggest is simply touring around on one of their double decker buses. Trust us, the modern appeal of this desert cities skyline is best seen while relaxing on an air-conditioned bus! 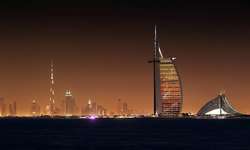 Once you have seen the cities skyline and marveled at the futuristic feel of Dubai, check out some of the attractions we have listed for you below and make sure to read up on navigating Dubai as there are lots of wonderful transportation methods. The famous Opera House, Bondi Beach, and the Sydney Harbor Bridge. 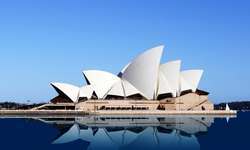 These are just a few of the magnificent sights that come to mind when you think of Sydney, Australia. Sydney is a cosmopolitan city that truly generates excitement. Surrounded by iconic beaches, world heritage sites, and famous wine regions, Sydney has a little something for everyone. Not only is Sydney the largest city in Australia, it is also the most visited. About 35 million people visit Sydney each year to take in the sunshine and wander through this beautiful city. If you are planning a trip to Sydney, you are certainly in for a treat! Swanky Clubs. South Beach. Delicious Cuban Restaurants. Art Museums. Sunshine. These are just a few things that pop into mind when the city of Miami is mentioned. Full of activity and entertainment, this fast paced city truly has a little something for everyone. Foodies flock to Little Havana to get a taste of it's famous Cuban food and coffee. Sunbathers can be found relaxing on South Beach and taking in the view. And partiers will shut down the city at dozens of VIP clubs perhaps with a few celbrities in attendance. Miami is a city of diversity and tourists will have no trouble finding their own little peice of paradise, that is if you can stand the heat! Take your time visiting Miami and explore the dozens of neighborhoods that make up the city and surounding area. From $40 million dollar mansions to streets where small fruit carts line the curb, Miami's neighborhoods can drastically change from mile to mile. Also, make sure to get out of the city for a day and take a tour of the Everglades National Park, an international treasure and World Heritage site. As one of the hottest cities for domestic and international tourism, Miami is truly one of a kind. To visit Oslo, Norway is to visit Mother Nature. Filled with luscious green spaces and surrounded by forests, hills, and lakes, Oslo, is a green gem. Due to the landscape, Oslo is filled with outdoor activities such as hiking, cycling, boating, and skiing. No matter the weather, locals and tourists find ways to enjoy the cities natural benefits each and every day. In fact, don’t bother complaining about the cold when you visit, as a popular Norwegian saying will tell you “there is no such thing as bad weather, only bad clothes”. 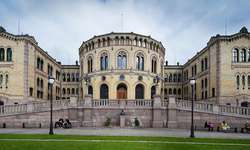 Oslo is also home to world-class museums and galleries, thriving café’s and bars, and top-notch restaurants. After your day on the town, sit back and enjoy Oslo’s live music scene. Every year, Oslo hosts thousands of concerts to showcase talents from local bands to international legends. Furthermore Oslo is home to several large pop and rock festivals during the summer. If you choose Oslo as your next travel destination, be ready to experience expanisve culture, outstanding food, and adventurous excursions!